Google deal: Save £30 with Google Home Mini and Chromecast bundle | What Hi-Fi? Looking to add some smarts to your AV system? You might want to head over to John Lewis and Currys. They're both running a promotional deal with a £30 saving on Google's Chromecast dongle when you buy a Google Home Mini smart speaker. Basically, you're getting both products for just £49. 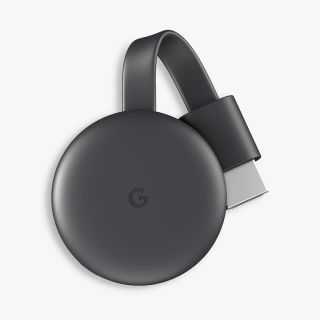 It's the most recent, 2018 version of Google's streaming dongle, so it's the fastest and most powerful model yet, allowing you to 'cast' 1080p content from your phone, tablet or computer to your TV. It's part of the google Home family and, like the Home Mini, is controlled through the Google Home app for Android and iOS. The Home Mini is a smart hub which doubles as a wireless speaker. Powered by Google Assistant, it can connect to music streaming services such as Spotify and Google Play Music and other Chromecast devices, including the Chromecast dongle. If you're looking for the building blocks of a smart multi-room system, then this deal is definitely worth considering while it lasts. Tempted? You'll find links to the deals below.